Super Saver Delivery Option: Lightweight parcels will be delivered by Hermes and anything over 15kg will be delivered by Yodel. Premium Delivery Option: Orders under 15kg will be delivered on a 24 hour, tracked service with Hermes. 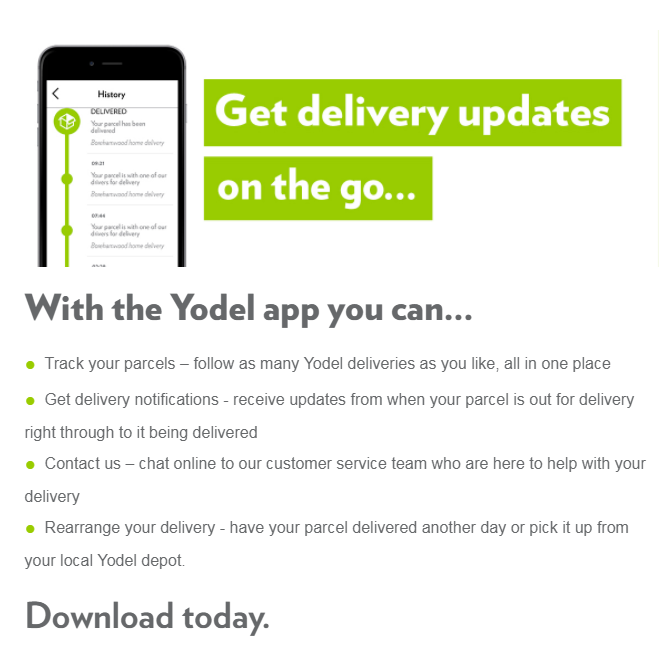 Anything over 15kg will be delivered by Yodel. Premium DPD Option: All orders will be sent via next day service with DPD and will be fully trackable door to door. This service also provides you with email and text notification of when your parcel is ready to collect. Please be sure to have some form of photo ID when collecting your parcel. We really recommend downloading the courier apps, which is compatible with iPhone and android. They have a lot of great features, but most importantly keeps you updated and more in control of your delivery.